Ashoka Plans to kill Rajmata! Chakravartin Ashoka Samrat 29th July 2016 Episode Written Updates :- The last night episode of the TV series Chakravartin Ashoka Samrat begins with Devi says to Kaurvaki Ashoka accepted you and your love after so many years and I also want Ashoka and you to be together as you guys are made for each other. Devi says that in the kingdom if something like that happens that Kaurvaki will be with Ashoka then longtime enmity with two states will be resolved. She said yes I love Ashoka but I can sacrifice not only my love even my life in order to stop enmity. It was not so easy and I was aware of it but I was also very sure about it that Rani Dharma and Ashoka’s effort will bring Ashoka and Kaurvaki near. Kaurvaki got tears in her eyes as she sees that Devi is ready to sacrifice her love for her and Kaurvaki asked Devi that how you have been made up. Which noble kind of mud uses to prepare you? Kaurvaki also asked Devi that how she can have so much of strength and Devi said that this is so as she is in love with her motherland. Her love for her motherland gives her power to take noble decision for her country and countrymen. In the mean time, Ashoka is keep watching on the Yunnais as he is sceptical of Yunanis. Saimak also sent a letter to Yunani and Saimak is worried that who will be going to have the letter Yunanis or Ashoka. Kaurvaki announced that she will be there to support Ashoka always and she said that a woman can do anything and she also take the risk in her life only to meet Ashoka then now she will be also there to support him. 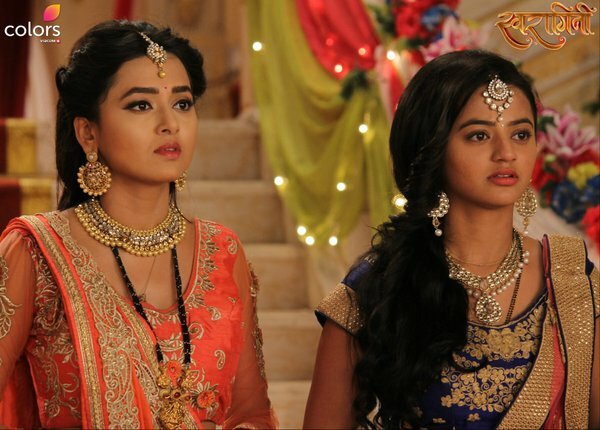 Devi also has been seen giving encouragement to Kaurvaki. Ashoka’s is by the way aware of the fact that Rajmaata is alive and now instead of revealing the fact that Rajmaata is alive he plans to kill her as Rajmaata dare to deceived the Magadh people. Precap: The lady tells Helena that she is having the plan to get her out from here. Siamak will help you to reach Unan but you need to escape safely from here. Ashoka plans to get Rajmata killed by Siamak’s hands only.